Fleece, Fibre, Felt, Knit, Crochet, Dye, Spin & Weave, Wool & Yarn, Kits & Accessories. Tasmanian handmade art craft & design - jewellery, fashion, accessories, gifts, objects d'art, soaps, candles, cards & stationery. We're getting excited here in the middle! 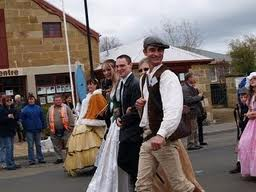 Only two weeks to our wonderful Oatlandy event - the 2011 Spring Festival. On Sunday 16th October, the High Street will close to through traffic and over 50 stall holders will set up, the local businesses will showcase their services and wares and the community will join in a myriad of displays, parades and activities! All we need is the weather organised and we're away! Oatlands Handamde will be joining in the festivities with spinning and weaving on the footpath and Lynn demonstrating her chain maille-making to make to most stunning jewellery. Lots of goodies have arrived for your early Christmas buying - cards, tags, and gifts are ready for you to choose. Our Christmas decorations have arrived as well...unique Tasmanian - made tree and table decorations which you can collect. As part of the Spring Festival, we will also be hosting Roses from the Heart commemorating the Convict women who spent time in Oatlands. 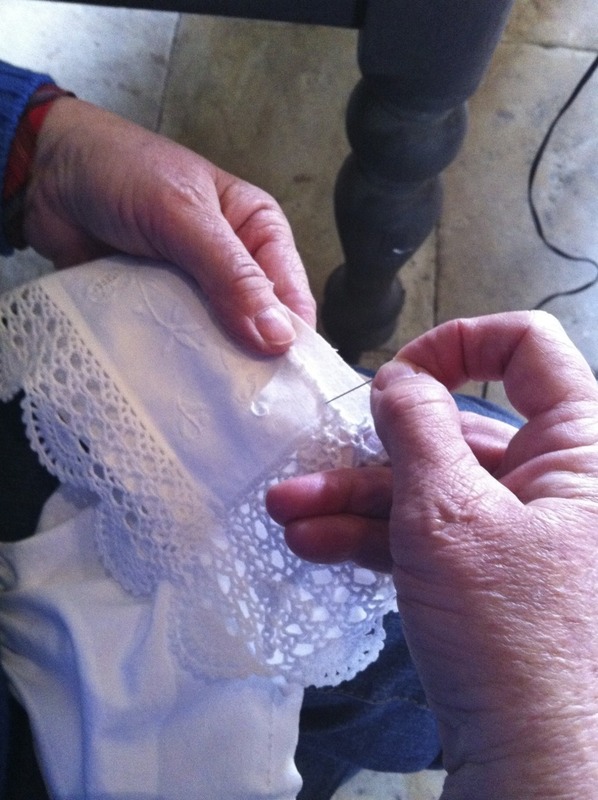 By making a bonnet, we add to Christina Henri's wonderful project to remember the 25,566 convict women who were transported to Australia in the 1800s. Patterns for bonnets are available from Oatlands' businesses (we have them here at OH) and from Rowena at the Heritage HIghway Visitor Centre at the Callington Mill complex. Oatlands Handmade and The Lucky Ewe @ Oatlands Handmade is a little gallery shop in Oatlands, Tasmania, right opposite the Callington Flour Mill. We feature the work of Tasmanian artisan craftspeople working in handmade design - mostly textile based. For you to buy we have unique handmade Jewellery, Handwoven and Felted Clothing and Accessories, Gifts, Cards, and so much more! Brands include Wendy Koolhof, Sue Evans I Felt, Lyns Maille sterling silver jewellery and my own Rowena brand. We stock Fleeces and Fibres, Knitting Wool and Silk, Hand dyed Yarns, Custom Art Batts for felting and spinning, exquisite drop and supported spindles and lace bobbins, Knitting Needles and buttons, Books, Patterns and Craft Kits and we are a working Spinning and Weaving Studio. No events scheduled yet in the next Quarter. Watch this space ! The ONLINE SHOP remains open 24/7. I am usually only a phone call away from opening up for you! The Lucky Ewe is the "wool stash" room of Oatlands Handmade. Stocking fleece, fibre, yarn and all sorts of goodies for textile makers. The Lucky Ewe also stocks a range of clothing / wearable art, kits, accessories and books. It's Spring & the shop is open! (c) Copyright oatlandshandmade All rights reserved. Awesome Inc. theme. Powered by Blogger.